Keep Calm ransomware uses sophisticated techniques to infiltrate computers and hide from its victims. Use Reimage to determine whether your system is infected and prevent the loss of your files. Keep Calm virus then drops a ransom note called Instructions.rtf. It explains that the computer has been “hacked” and that files stored on it were encrypted. As usual, the ransom note provides the price of the decryption software needed for data recovery, or, in other words – a ransom. Cyber criminals want 0.1 BTC per one infected computer, approximately $250. The note also contains statements urging the victim to pay the ransom within one week to “prevent them from being leaked.” The criminal also suggests writing to luisa91@you-spam.com and providing date of the transaction, PC’s name and also the email address to which the victim wants to receive the decryption key. If your files were corrupted by this ransomware, we highly recommend that you do not pay the ransom. Considering that the ransomware is based on an open-source ransomware, malware analysts might find it easy to reverse the encryption process and create a free decryption tool. Therefore, to prepare your PC for further usage, we highly recommend you to remove Keep Calm virus using Reimage or another anti-malware software. Keep Calm ransomware is a file-encrypting virus that adds .locked file extension to encrypted files and demands $250 to set them free. It is important not to mistake the described ransomware for KeepCalm virus, which is one of Globe Imposter viruses. This piece of malware adds .keepcalm file extensions and drops HOW_TO_BACK_FILES.html file (the ransom note). 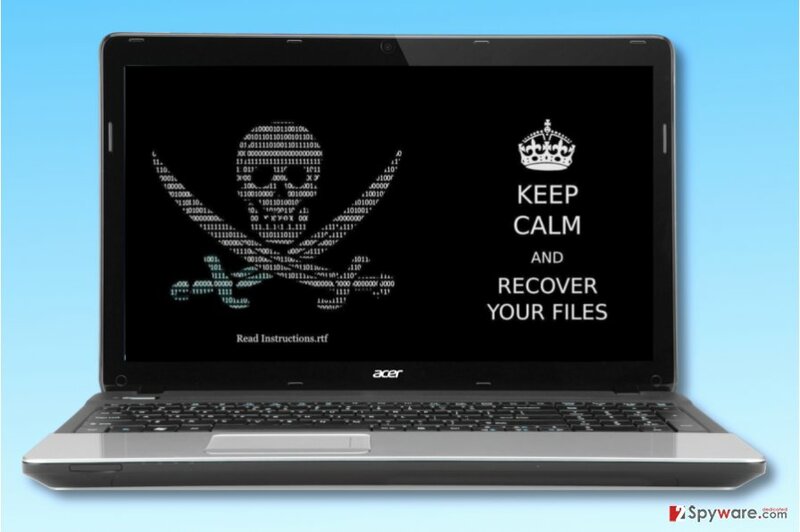 No matter which ransomware compromised your files, your aim is to complete Keep Calm removal as soon as possible. Computer viruses can infect your computer in various ways. Usually, they travel via deceptive emails composed by cybercriminals. Such emails are designed to spark victim’s interest in the attached file that carries the malicious payload. It can be a ZIP, DOC, or JS file. Of course, the file format can differ. It is highly advisable not to open email attachments or questionable links included in an email you received from a stranger. What is even more important is that you check the sender of the email – you must be sure that it is a trustworthy sender and not some fraud trying to impersonate an employee of some well-known company. Cyber security experts believe that the virus won’t be distributed using more sophisticated malware distribution techniques used by ransomware professionals. It is highly unlikely that it will be distributed via exploit kits, malvertising, Trojans or other measures taken by developers of Cerber or CryptXXX ransomware. However, if you want to protect your PC from all kinds of ransomware viruses, you should use several layers of protection such as anti-malware software, data backup and avoidance of suspicious Internet websites. For more security-related tips and tricks, visit NoVirus.uk site. Unfortunately, you should not attempt to remove Keep Calm virus on your own. Even if you are an experienced computer user, you should rely on trustworthy anti-spyware or anti-malware tools to delete the malware properly. Unsuccessful attempts to complete Keep Calm ransomware removal can result in various problems. For example, you might lose a chance to open your files ever again. Remember that attempts to decrypt encrypted files should be carried out only after removal of the virus, not before it. The sooner you remove Keep Calm malware from your computer, the better. This way, you will get an opportunity to use your computer again, and try available data recovery methods. Log in to your infected account and start the browser. Download Reimage or other legitimate anti-spyware program. Update it before a full system scan and remove malicious files that belong to your ransomware and complete Keep Calm removal. When a new window shows up, click Next and select your restore point that is prior the infiltration of Keep Calm. After doing that, click Next. Once you restore your system to a previous date, download and scan your computer with Reimage and make sure that Keep Calm removal is performed successfully. Guide which is presented above is supposed to help you remove Keep Calm from your computer. To recover your encrypted files, we recommend using a detailed guide prepared by 2-spyware.com security experts. To restore your files, you should use a data backup that you created at some point in the past. However, in case you forgot to do it, try one of the suggested data restoration alternatives. Looking for a tool to decrypt those .locked file extension files? If so, you might be interested in trying Data Recovery Pro. Although this tool isn't created to restore files encrypted by ransomware, in some cases it helps to restore some files. Therefore, you can't lose anything by giving it a try. 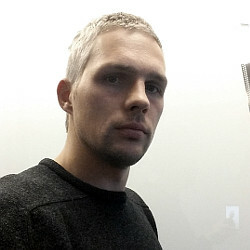 Volume Shadow Copies can and should be used for data recovery, however, ransomware viruses tend to delete these copies after encrypting all data on the compromised computer. Luckily, even computer programs fail to complete certain tasks in certain circumstances. To find these copies and restore your files, use ShadowExplorer software. ^ New Open Source Ransomware Based on Hidden Tear and EDA2 May Target Businesses. Trend Micro Blogs. TrendLabs Security Intelligence Blog. ^ Danny Palmer. This malvertising campaign infected PCs with ransomware without users even clicking a link. ZDNet. Technology News, Analysis, Comments and Product Reviews. ^ NoVirus. NoVirus. Information about Computer Viruses, Removal Guides. This entry was posted on 2017-07-17 at 02:47 and is filed under Ransomware, Viruses. You can quickly scan the QR code with your mobile device and have Keep Calm ransomware virus manual removal instructions right in your pocket. How did you remove Keep Calm virus?